Moderator Carroll at left with panelists (l-r) Taylor, Amy, Davila and Lemmon. 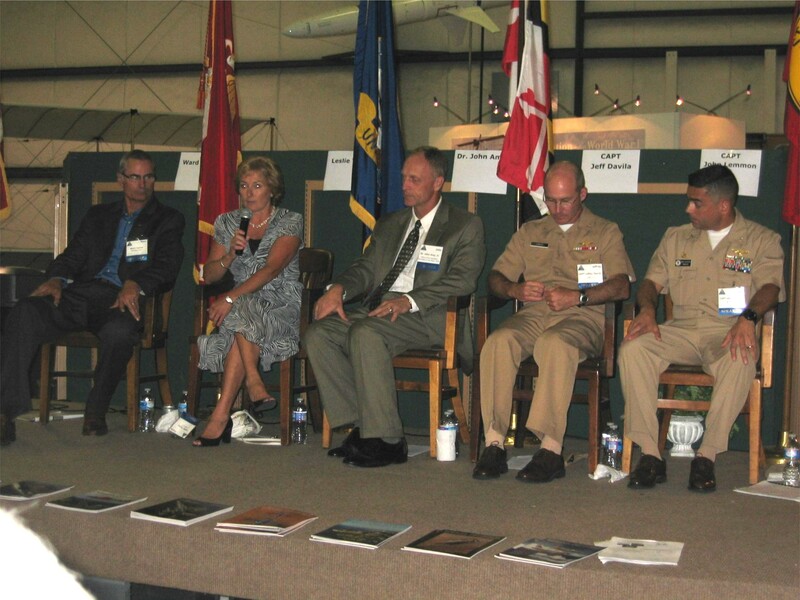 More than ever, finding efficiencies in the transition from developmental testing to operational testing will be key to the success – maybe even the survival – of Navy aviation programs, said a panel of experts convened recently by The Patuxent Partnership. 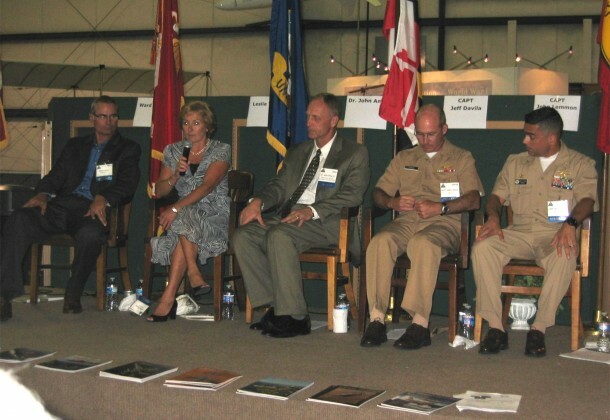 After a moment of silence to remember the victims of 9/11, the panelists explained how implementing early collaboration among project stakeholders in the development phase, and carrying that involvement all the way through to the execution phase, is the most productive way to achieve those efficiencies, particularly in a time of sequestration and general defense budget constraints. Speaking to the panel’s title, “Naval Aviation: The Future is Bright – T&E Collaboration and Processes,” were keynoter Gary Kessler, deputy assistant commander for test and evaluation (AIR 5.0A), Naval Air Systems Command; Leslie Taylor, SES, director of flight test engineering, AIR 5.1; CAPT John Lemmon, USN, program manager, E-2/C-1; CAPT Jeffrey Davila, USN, commanding officer, VX-1; Dr. John Amy, Jr., senior advisor for EMALS Integration, Office of the Assistant Secretary of the Navy, Research Development and Acquisition. 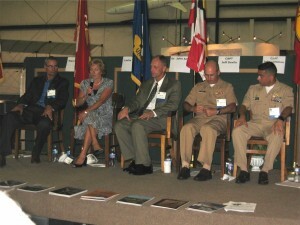 The panel moderator was Ward Carroll, editor, Military.com. Mr. Kessler stressed how important it is “to reduce what we need to do in OT.” He commended improvements in the cross-communication process among project stakeholders he’s observed in the past three to five years but said even more is needed “across the continuum.” An integrated evaluation framework will make sure “we understand what the final exam will be,” Mr. Kessler said. He particularly stressed the urgency of eliminating duplication of effort. Dr. Amy addressed the impact of reduced budgets. “The fiscal reality is that acquisition programs must get as much as they can out of available dollars, especially with testing and evaluation dollars. We’ve got to get it right the first time because we can’t afford to do it all over again.” He also endorsed the potential of training programs under way to improve consistency across the entire Navy T&E community. Mr. Carroll noted that “a lack of agility” is a natural byproduct of bureaucracies. It creeps in as organizations become larger and more complex and as task teams focus on doing their portion of a project without much involvement with their counterparts, leading to the impediments the panelists say need to be eliminated to save time and money and ensure quality. It’s something organizations have to resist. CAPT Lemmon acknowledged that overcoming this isn’t always easy.